Interested in Selling your Home in Bay Colony? Bay Colony is a premier luxury homes community featuring lavish waterfront homes located in north east Fort Lauderdale real estate market. This picturesque water's edge community is located in the north east Fort Lauderdale real estate market just north of Coral Ridge and just west of the Intracoastal Waterway. Your safety and privacy are assured with a 24-hour guarded gate with roving security force. Bay Colony is adorned with beautiful tree-lined streets and lush tropical landscaping. This upscale community has privacy and amazing waterfront views. Located near Ft. Lauderdale's Intracoastal Waterway, Bay Colony is conveniently located near amazing beaches, fine-dining, shopping, golf courses, top-rated private schools and marinas. Bay Colony is one of Fort Lauderdale's premier neighborhoods. Great location, views and seclusion make Bay Colony a choice community. Enjoy all of Broward County's finest amenities including international airports, downtown areas and 23 miles of coastline. Nestled right off the Intracoastal Waterway scattered around the interweaving of elaborate canals lays the homes for sale and for rent in Bay Colony. These Fort Lauderdale elite homes provide luxury, stunning architecture and, overall comfort to those willing to invest in them. This community consists of two story water view homes with up to 7 bedrooms and 6 bathrooms. Shrouded in tons of palm trees, this gives way to the idea of paradise while on the inside Bay Colony homes offer huge living rooms with vaulted ceilings, marble and hardwood floors, a cook's dream kitchen, and a plethora of large panoramic windows offering to whomever gazes out of them a stunning view. Houses in Bay Colony come equipped with hurricane impact glass, floating staircase, custom mahogany and marble, large master suites, 3 bay garages, game room, fireplace, and spa baths. Magnificent water views throughout make open living spaces seem bright and vibrant. All new stainless steel appliances including Sub-Zero and Viking complete the state-of-the-art living environment. This exclusive homes community has a true neighborhood feel and appeal to its residents, and provides the perfect atmosphere for family and/or fun in the sun. Whenever you decide to leave to venture out in the city, Bay Colony is only minutes away from the beach and US-1. In addition, this community is only a relatively short drive away from the Coral Ridge Golf Course and Ft. Lauderdale's Galleria Mall. If you have been waiting for a great buy in Bay Colony, this is it. Possibly Fort Lauderdale's most prestigious island enclave, Bay Colony provides an unsurpassed level of privacy with beautiful tree lined streets protected by a 24-hour guarded, gated entry and the community's own security patrols. Quiet seclusion combined with close proximity to superb beaches, shops, restaurants, and private schools to make this a perfect place for both young families and retirees alike. Entering Bay Colony will immediately tell you why Ft. Lauderdale is considered the Yachting Capital. Follow the yacht/sailboat laden canal to your beautifully decorated home. Lounge pool-side overlooking the Intracoastal Waterway. Impressive, grand & dramatic defines the Mediterranean estate houses in Bay Colony - a rich, safe and manicured world- class yachting enclave located on the Intracoastal Waterway. With the world to choose from, one step inside a Bay Colony residence will reveal why this should be your new destination location for your new home. Steve Samuels is known as one of the premier Fort Lauderale Real Estate & Fort Lauderdale Home Brokers in the South Florida market. 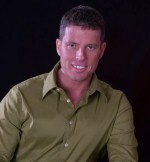 His negotiation skills, market knowledge and no-nonsense, results-driven approach has made him one of the most sought after Luxury Homes for Sale & Rent, Oceanfront, Beachfront Homes, Oceanfront Villas, and single family waterfront realtors from Fort Lauderdale, Hollywood Beach, Sunny Isles Beach, Miami to Palm Beach County. View MLS Listings for Fort Lauderdale, Hollywood Beach, Downtown Miami, South Beach, Sunny Isles, Miami Beach Homes for Sale in South Florida and Miami Beach. CondosandCondos.com is one of the Leading Ft. Lauderdale, Sunny Isles Beach Real Estate websites where you can find Waterfront, Bayfront, Beachfront Home Sales, Oceanfront Condos Sales & Rent . Search for Oceanfront Condos Luxury Condos in Fort Lauderdale, Fort Lauderdale Beach, Miami, Miami Beach, South Beach, Sunny Isles, Hallandale, Key Biscayne, Bal Harbour, Fisher Island, Coral Gables, Ocean Drive and all of South Florida.